Until last year, Netbet Casino was known as Casino770. Despite the name change, virtually nothing has changed. The casino uses iBetSoft and offers all classic games. In addition to the casino, Netbet also operates Netbet Sports, which includes live betting. Both Netbet Casino and Netbet Sports take good care of their customers: there are lucrative welcome bonuses for new players, as well as regular and interesting specials for current players. Neither the company’s casino nor sport division ranks among the big names in on-line gaming, but the games developed by iBetSoft have a certain charm, as well as good graphics and sound. The site is definitely worth a visit. There is a whole series of interesting progressive jackpots that players on Netbet can win. This includes Caribbean Treasure, which is one of the million jackpots, as well as Quick Time, and Spin or Reels. 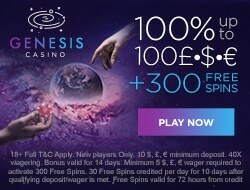 Most progressive jackpot games an be played with a deposit as low as one cent! Sports betting is the main area of concentration on Netbet and receives the most traffic. The selection of betting opportunities, including live betting, is outstanding, and players will find every sport imaginable. The numerous promotions offered here on a regular basis are also a plus. In this arena, Netbet Casino proves that it is indeed possible to provide good slots and other games without the big on-line game developers like Playtech or Microgaming. Netbet uses IBetsoft, Leander Games, Amaya, and IGT; customers thus instantly have four developers at their disposal. The name, IGT, should ring a bell with players who frequent real casinos, as this well-known American company delivers machines to casinos around the world. Games like Da Vinci Diamonds, Cleopatra, and Golden Goddess represent several well-known IGT titles. Players will find many iBetsoft games adapted from movies or shows by the same name. These include Basic Instinct, Rango, Bruce Lee, and Beverly Hills 90210. Netbet is one of the few on-line casinos that awards occasionally cash bonuses without deposit. Even if the bonus is only 10 €, experience shows that winnings from the bonus are paid out like any other winnings. 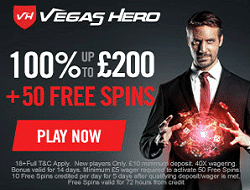 Additionally, new players receive a welcome bonus in the form of an initial No Deposit Bonus of £250! The offer is exclusive available here! Netbet Sports offers a 50 % bonus up to 100 €. This is very valuable as sports betting entities rarely offer deposit bonuses of this type. Methods of payment available to players here are certainly adequate; however, pay-out processing time needs to be improved. With Neteller or Skrill, processing takes 3 days; it takes up to a week with credit cards. Nonetheless, Netbet is a legitimate entity and this fact is reinforced by the licensing authority of Malta and testing and certification of the random number generator by iTech Lab. Numerous guests have established a relationship of reciprocal trust with Netbet.